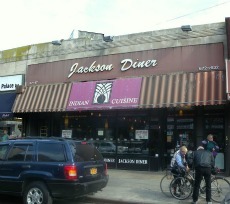 Visiting Jackson Heights in Queens is like taking a trip around the world. Although it's well known for its colorful sari shops and Indian restaurants, you'll find lots of other ethnic eats here, including Colombian, Chinese, Uruguayan, Himalayan and even an awesome French pastry shop. And since it's a very family-friendly neighborhood, there are also many playgrounds and parks.